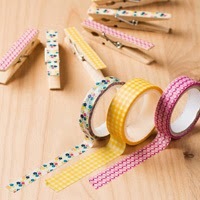 Washi Tape is such a cool embellishment! I used it for a boarder piece on this card. So easy to use which is right up my alley! Just a little goes a long way. The colors for the card came from the Washi Tape. Love Stampin' Up!s coordinating products. Warning: Washi tape is addicting. Once you start using it, you might not be able to stop! Embellish paper projects, mark really important things on your calendar, cover boring refrigerator magnets. 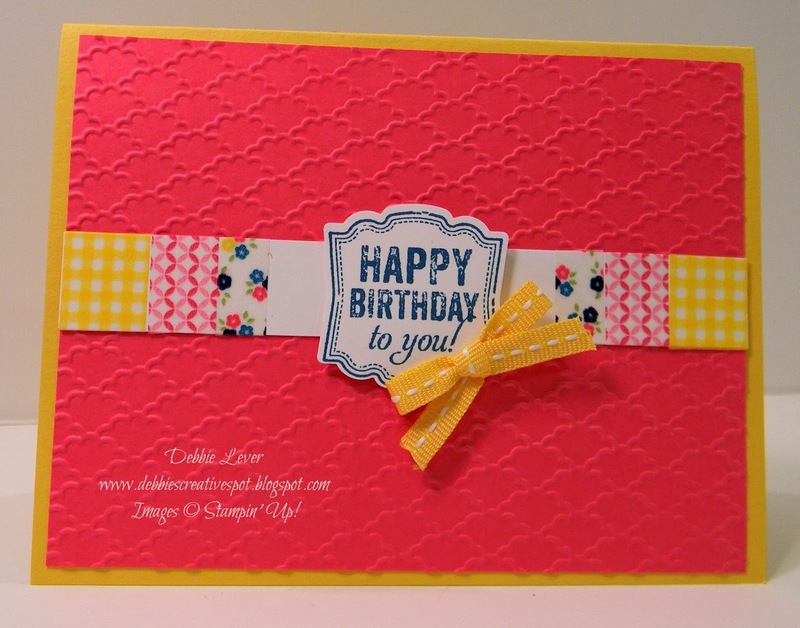 Skip the ribbon on packages and criss-cross them with washi tape designs. Wrap pencils. Alter journals. Coordinating colors: Daffodil Delight, Melon Mambo, Pear Pizzazz, Night of Navy, Island Indigo. * 1 roll each of 3 widths: 3/8", 1/2", 5/8"